The Clutha - "Scotland's Oldest and Most Respected Traditional Folk Band"
Clutha Folk Group was originated in 1964 by three librarians from the Mitchell Library in Glasgow, plus one of their former colleagues. They chose the name "Clutha" for the group - an ancient name for the Clyde. Described as "an almost permanent institution on the Scottish Folk Scene....." and "recognised as a major influence in the Scottish Folk Revival", Clutha from the beginning concentrated largely on traditional Scots music and song, utilising the resources of the Mitchell Library to find old songs not currently being sung and to collate versions of better-known songs. Much was learned from older singers like Davie Stewart, Jeannie Robertson and Jimmy McBeth. 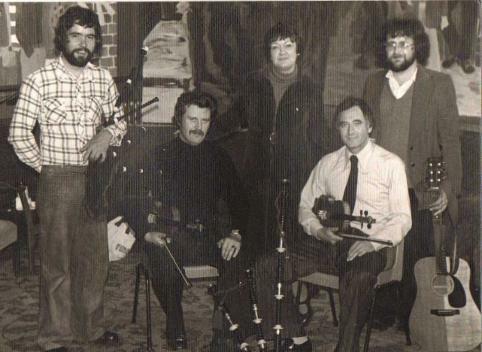 Clutha was one of the first groups to employ a fiddler [Erlend Voy], soon increased to two [Callum Allan], and introduced bagpipes and chamber pipes, both now common in folk bands today. The Instrumental standards of the group can be judged by the winning, three times, of the Peter Cooke Cup for Scots Ceilidh Bands at the Scottish Tradtional Music and Song Association Festival. Gordeanna has won several competitions for tradtional singing. Early days saw Clutha performing in folk clubs and festivals throughout the UK, soon followed by Radio and TV broadcasts and tours in most European Countries, Scandinavia and the USA. Although Clutha has preformed only sporadically over the past decade or so [usually with Gordeanna of course], the instrumental side of things has not been neglected. 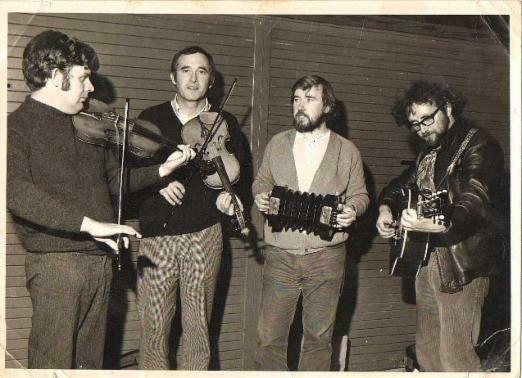 The popularity of ceilidh dances during the mid-eighties saw the formation of "Clydebuilt Ceilidh Band" by Clutha members plus an accordian player. Whilst Gordeanna, whose unique singing voice was a major feature of the group for around 18 years, continues to perform solo, and Clutha has never disbanded as such, recent events constitute a sort of re-forming of the group. 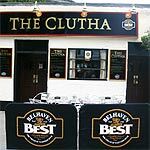 At the invitation of Stirling Folk Club, Clutha got together to perform in the Golden Lion Hotel on 28th April 2003 as part of the club's Fortieth Anniversary celebrations. Having so enjoyed the experience, Clutha intends to continue performing at every opportunity, promoting the traditional heritage in music and song, and of course their latest recording, "On the Braes". CLUTHA VAULTS GLASGOW - Clutha Folk Group played at the opening party of this pub which could be described as a "Revival Pub"
Following the tragic accident involving a Police helicopter crashing through the roof of the Clutha Vaults, the members of the Clutha Folk Group would like to express our deepest sympathies to friends and relatives of those affected by this tragic event.